Protect yourself when skating with this combo Skate Guards. 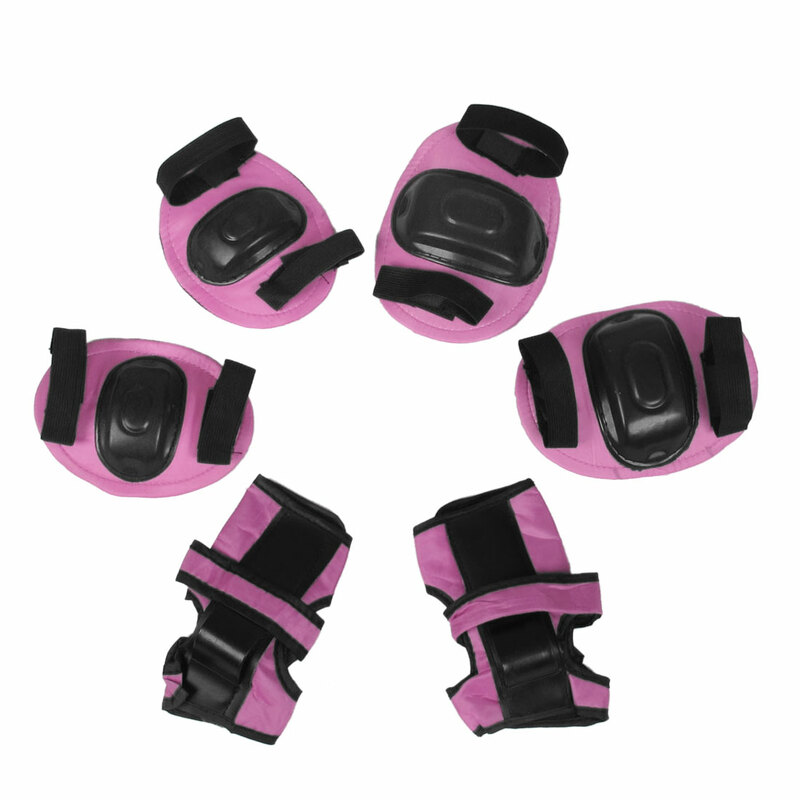 Injection molded plastic knee and elbow guards are kept in place with two elastic straps. The wrist guards also has an injection molded plastic guard and is held in place with three hook and loop fastener straps. Made from durable, soft padded material with tough plastic plates, the Ice Skate Guards have wide straps ensuring your comfort and at all times. Don't go skating without adequate protection! The Inline Skate Pads also suitable for skateboard, biking, minibike riding, and other extreme sports. Skate Protective Pads for adolescent age between 6-10 years.